...recognizing her passion and finding a way to make it her life's work is Murphy's gift and the heart of McCully's story. Caldecott medalist McCully tells this compelling story skillfully. 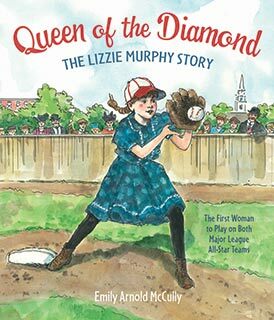 The gradual growth of the character is particularly well done in the lively ink drawings with watercolor washes, which bring Murphy and her era sharply into focus. The scenes that show her being shunned and then gradually accepted by the boys are particularly well done. The dialogue-heavy narrative and subject matter will easily appeal to readers. McCully's book is both a good all-round baseball story and an inspirational story about believing in oneself and overcoming opposition. An excellent choice.